Tiny traditional-style pub situated in back streets behind the law courts. 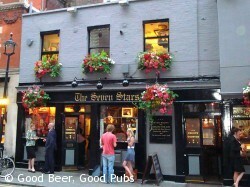 This pub is very popular and can get very full. So much so that you may have to stand outside – and even in winter, people do. The pub is a free house with Adnams beers and a couple of others available – often Harvey’s Best and/or Dark Star Hophead. They all seem to be well kept. Food is available too although I’ve never eaten there. The newish small room at one end is a nice cosy addition. I think the pub is still run by Roxy who used to work at Ronnie Scott’s and if you visit you’ll maybe meet her. 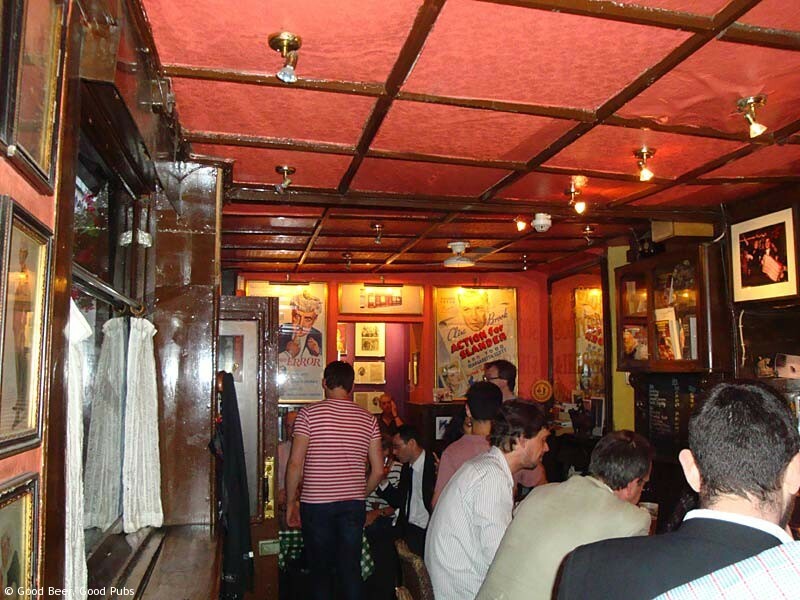 Just be careful on the narrow twisty stairs up to the toilets – they’re even narrower than at the Harp in Covent Garden. What an excellent pub!